New Webinar: Can Tax-Free Premium Reimbursement Work for You? Zane Benefits, the leader in individual health insurance reimbursement for small businesses, announced today an upcoming webinar, "Can Tax-Free Premium Reimbursement Work for You?" According to Zane Benefits, there is a massive transition to employer-funded individual health insurance. The transition is happening now, and it's happening first with small businesses. Instead of selecting a group health plan, employers are now letting employees buy individual policies and reimbursing them for their health insurance premiums. 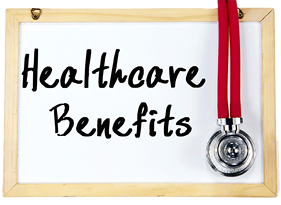 According to Zane Benefits, employers are using tax-free premium reimbursement plans to offer affordable health benefits. However, many businesses have questions about how this type of arrangement works and how it complies with federal regulations. Business owners, CEOs, CFOs, and HR managers are invited to attend the webinar to learn the ins and outs of tax-free premium reimbursement.